On February 6, 2019, at about 7:10 a.m., Deputies with the Montgomery County Sheriff’s Office were dispatched to the 11600 block of Newton Circle in Conroe, Texas in reference to a Burglary. Upon arrival at the residence, Deputies learned from the victim that the home had been burglarized sometime between 4:00 p.m. on February 1, 2019, and the morning of February 6. The victim stated that over $1000 worth of property had been stolen from the home. The victim provided Deputies with surveillance camera footage, which showed a suspect’s vehicle. The vehicle was known to belong to a male suspected in other crimes in the area. 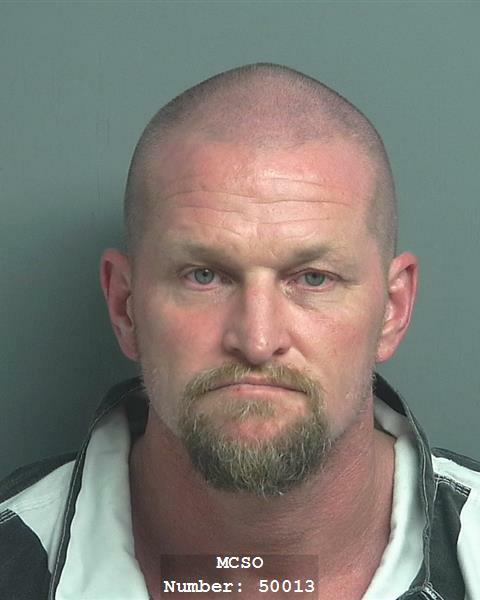 Deputies located the male suspect, Steven Roper (11/24/71) and conducted an interview with him on February 7, 2019 in which Steven admitted to burglarizing the home. Steven stated that he believed the home was abandoned, and wanted to return the property to the owners. Deputies recovered the stolen items and returned them to the victim. Steven was taken into custody and charged with Burglary of a Building, Unlawful Possession of Body Armor, and five warrants. This is still an active investigation as the two females involved in the burglary have not been positively identified.